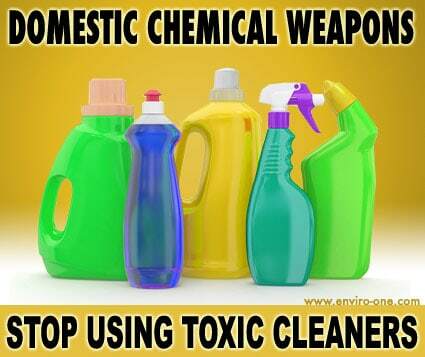 Domestic Chemical Weapons… Stop using toxic cleaners. Mainstream media tried to tell us that we need synthetic chemicals in order to freshen our air, ward off bugs, style our hair and clean our homes, and, we actually believed them. We believed that a tin of rose smelling chemicals can actually enhance the quality of our air when the fact is, it does the exact opposite. Synthetic chemicals have been called out for being one of the biggest environmental and health offenders in existence, not only do these chemicals emit harsh toxins into the atmosphere, they can also cause disruption in the balance of our hormones which can generate the development of disease and disorders. The growth of green space has inspired awareness; the harsh truths about household chemicals are being learnt and more of you are seeking ways to get rid of them, check out the tips below for inspiration. Green Cleaning: Cleaning supplies is where you will find a lot of harsh chemicals, ditch them and start cleaning with eco-friendly products that are just as effective without emitting toxins. Clean your Air with Houseplants: Plants are nature’s air fresheners; they absorb harsh chemicals and replace it with body loving oxygen. Himalayan Salt Lamps: Himalayan salt lamps naturally purifies the air and ward off toxins, they are perfect in household with allergy sufferers. Green your Beauty: Everything from the nail polish on your toes to the gel in put in your hair is toxic. Green your beauty by paying attention to your purchases. There are safer alternatives available, read those labels. Clean your Carpets: Carpets can absorb chemicals tracked in from outside so it is important to clean your carpets often with a gentle eco-friendly formula. Open a Window: Statistics show that the quality of your indoor air is actually poorer than the air outside. Opening windows when the weather permits will keep the house well aerated and fresh. Take off your Shoes: It is easy to invite chemicals in the home with your shoes. Get into the habit of taking your shoes off upon arrival; this will lessen the amount of chemicals entering the home. There is no way to rid the home of all the chemicals because we unfortunately live in a chemical dependent world, however the simple tips above are powerful enough to get rid of some.